Looking for a safe and non-invasive way to treat ankle pain? Arthritis Injection Therapies may be right for you. After a quick diagnosis and a treatment of the injury our patients can typically return to their daily schedules within a very short time. 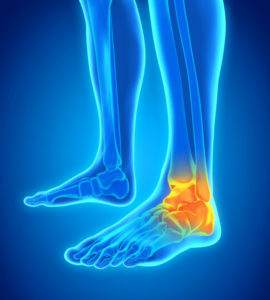 Whether you have hurt your ankle falling down the steps, suffer from swelling of gout, have pain due to arthritis damage, have tendinitis inflammation, suffer fractures, had a sprain or feel any other discomfort to to your ankle, we can help. When your pain cannot be solved by day to day relievers like ice or over the counter medication it’s time to speak to a professional at Precision Care that will help you get back to that daily routine you so dearly dream of. Our medical professionals will be able to help you using state-of-the art physical therapy and other non-invasive treatments.